Synopsis: Lomachenko is one of the very best fighters in the world today. Most experts have him among the top two or three on pound-for-pound lists. 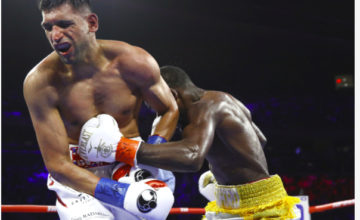 He currently holds both the WBA and WBO 135-pound titles, and seems to be on his way to unifying the rest. Plans for his proposed bout against IBF titleholder Richard Commey had to be scrapped because of an injury to Commey’s hand, so in stepped mandatory challenger Crolla. Other Bouts: Former 168-pound titleholder Gilberto Ramirez is making his official light heavyweight debut against Tommy Karpency. Ramirez is undefeated and might be on his way to making some real noise in the new division. 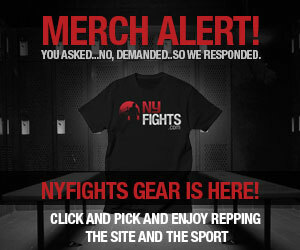 There’s also a crossroads welterweight battle between Arnold Barboza Jr and Mike Alvarado. 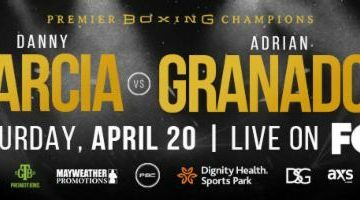 Gradinar vs Carabajal is the lead bout on the Facebook Fightnight Live stream on April 13. Synopsis: The Russian Gradinar is the favorite against the 28 year old Argentine, who has won two in a row since losing to 11-0 Rose Volante. 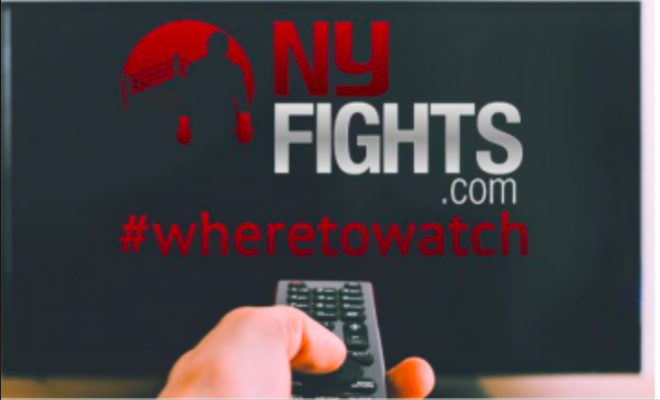 The IBF’s interim featherweight title is up for grabs, and the Facebook Fightnight Live crew, including blow by blow man Michael Woods, is proud to stream their first world title bout. Shields stares at Hammer while promoter Salita makes peace. Synopsis: Shields and Hammer are fighting to become the first undisputed middleweight champion in a women’s division as well as the first Ring Magazine champion for any woman ever. That’s huge. Shields won two gold medals and is considered one of the top female fighters in boxing. Hammer has been one of the top champions in boxing for years. Some are calling it the most important fight in women’s boxing history. 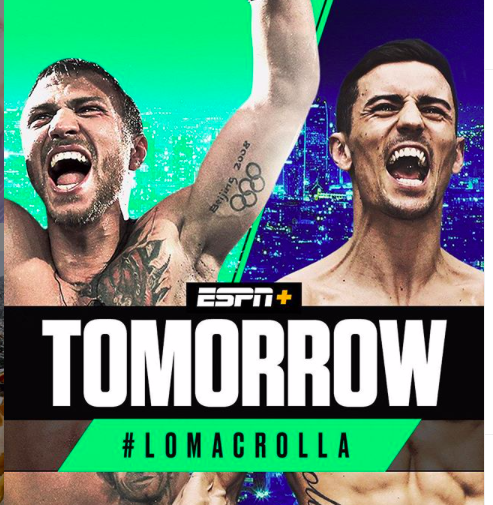 Whatever it is, it should be the best fight of the weekend because it’s probably going to be more competitive and more important than any other main event. Other Bouts: Heavyweights! 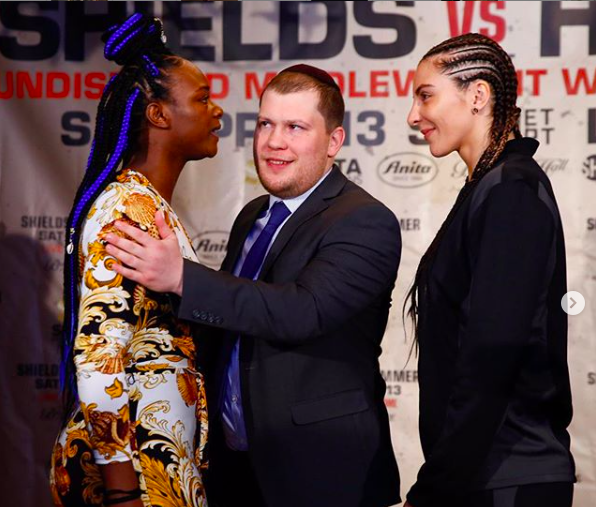 As awesome as Shields-Hammer is for women’s boxing, the undercard is just as awesome for heavyweight fight fans because there are two 10-round bouts featuring up-and-coming big guys. Jermaine Franklin takes on Rydell Booker and Otto Wallin fights Nick Kisner in what should be some solid heavyweight action. Munguia is soon to hit 160 but will do a defense at 154. 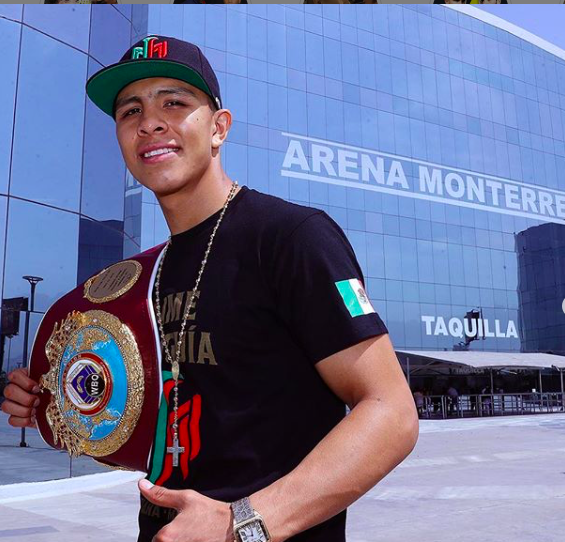 Synopsis: Undefeated champion Munguia is just 22 years old and has the look of a longtime star. Some people think he’ll eventually face superstar Canelo Alvarez since he’ll probably naturally grow into a middleweight and both are promoted by Oscar De La Hoya. Before that happens, though, Munguia has to get through his mandatory defense against Hogan, who is riding a six-fight win streak since losing to Jack Culcay in 2015. Other Bouts: Patrick Teixeira and Dormedes Potes are set to rumble in a 10-round junior middleweights battle. It might not be high-class action but it could be a thriller. Undefeated featherweight Diego De La Hoya continues his title quest against veteran Enrique Bernache. Quillin meets Truax in a battle of later stage vets. 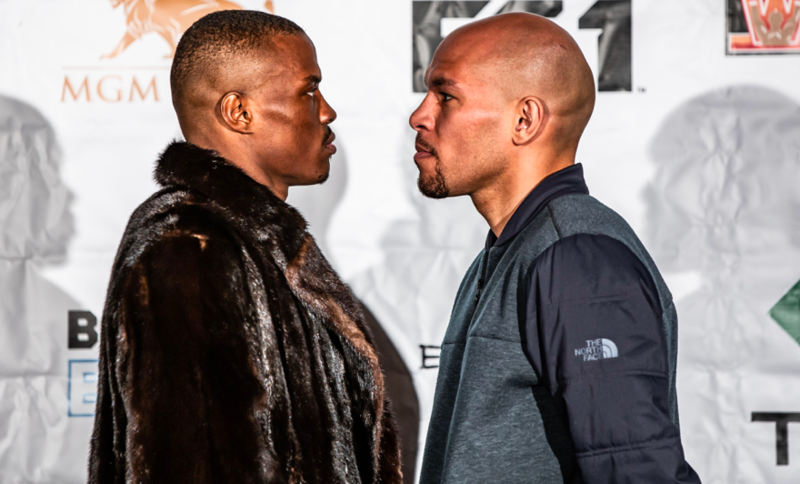 Synopsis: It might not be as meaningful as Shields vs Hammer, but former middleweight titleholder Quillin and former super middleweight titleholder Truax should provide some competitive action, too. Now competing in the super middleweight division, both former middleweight veterans are looking for a quality win over the other man to help keep their careers going in the right direction. 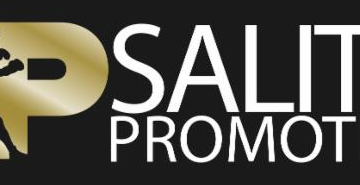 Other Bouts: Sergiy Derevyanchenko is coming off a split-decision loss to Danny Jacobs for the IBF middleweight title. The 33-year-old is seeking a win over Jack Culcay so he can climb back up the rankings. Junior middleweight phenom Joey Spencer looks like a future champ. He’s scheduled to for his seventh professional fight against Osias Vasquez in a four-rounder. Get much more superb content from McCarson here. Kelsey and wife Rachel do YouTube videos, and spread their love of the game there.